Payments by BACS 25% no returnable deposit within 7 days of booking, followed by payment of balance 30 days in advance of holiday. Full details of Availability Information and Charges are shown at the bottom of this page. 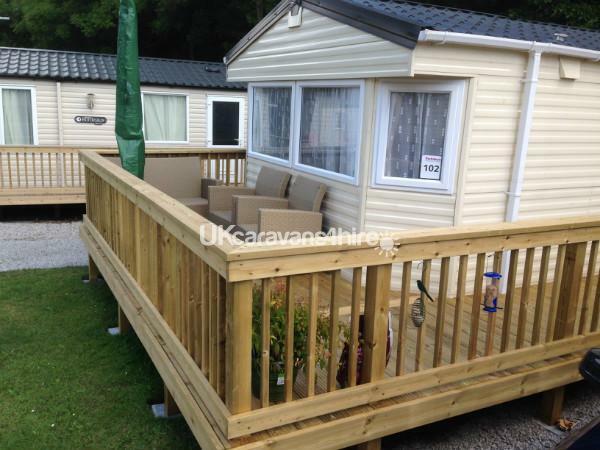 Modern 35 x 12 feet static caravan with large sunny wrap around decking in quiet area on St Minver Holiday Park, Near Rock. 10 minute drive to amazing beaches. 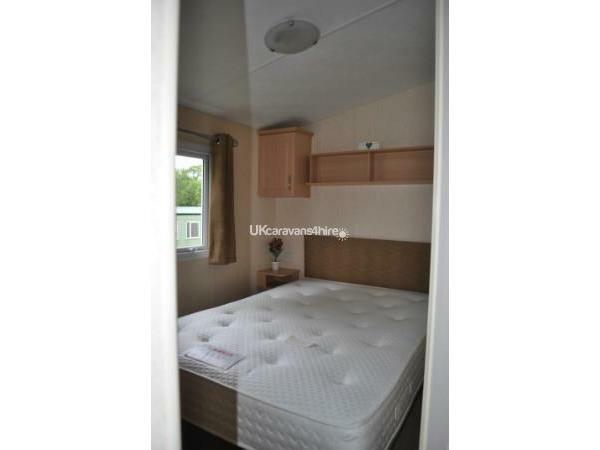 1 double & 2 single bedrooms & high quality pull out double bed in lounge. 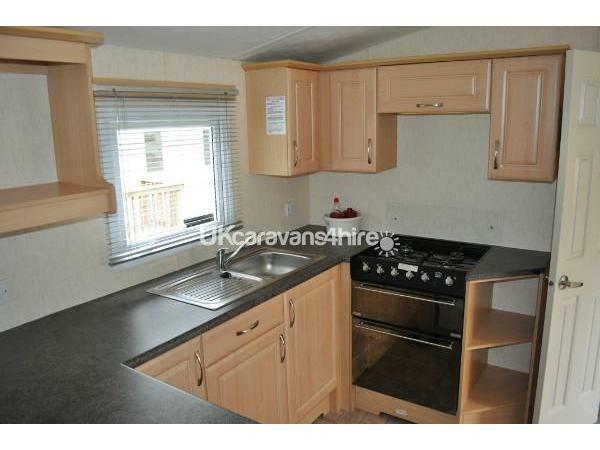 Well equipped kitchen complete with quality china, microwave, electric whisk, toaster, fridge / freezer etc. 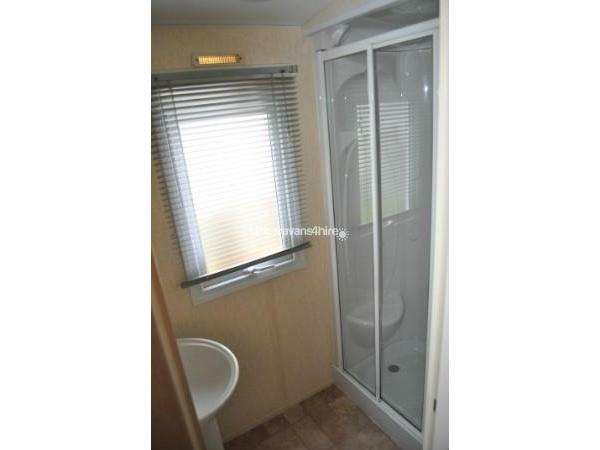 Shower room with good pressure & wash basin. Separate WC & wash basin. 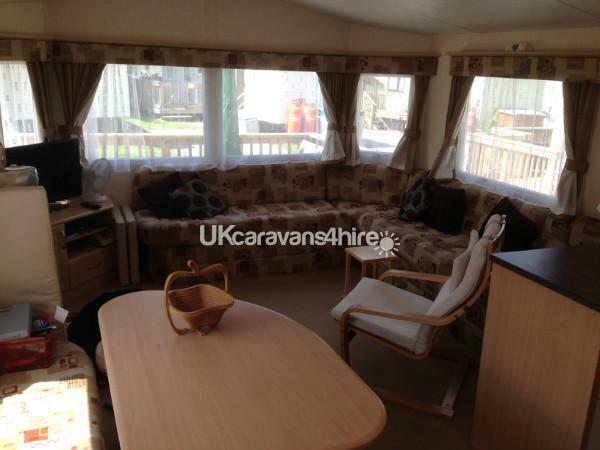 Outside there is a wrap around decking with a sofa, two armchairs, table & sun shade. 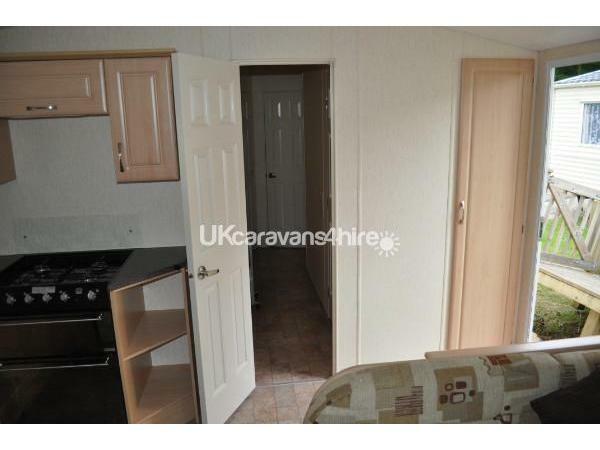 To the side of the caravan is a grassy area & parking space. St Minver Holiday Park is set within the mature woodland grounds of an old manor house which now houses the restaurant, Costa coffee, bar, function room, games room including table tennis, soft play area, amusement arcade, SKY Sports, Internet Access, Evening Entertainment. Wi-fi is available Costa coffee and bar area. The 30 metre indoor pool is lifeguard-maintained. Sauna. Opposite the swimming pool is the shop selling groceries, wine, beer and books. The outside play area is great for young children. Crazy Golf course. The lovely village of St Minver is just above the Manor House with Church, Post Office & the Fourways Inn offering free wi-fi. 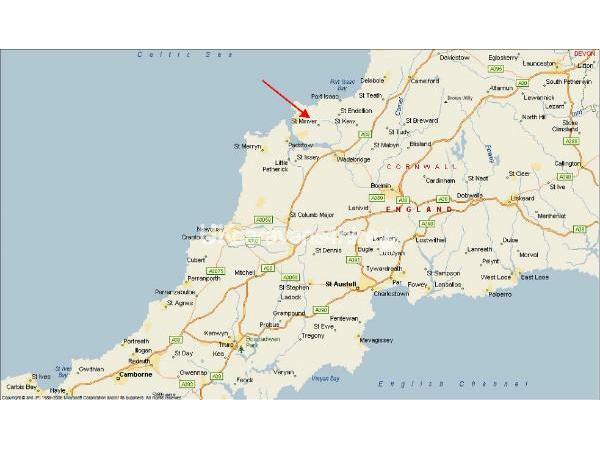 St Minver Holiday Park is 2 miles from the village of Rock. Nathan Outlaw Restaurant is a Two Star Michelin fish & seafood restaurant in the St Enodoc Hotel, Rock. 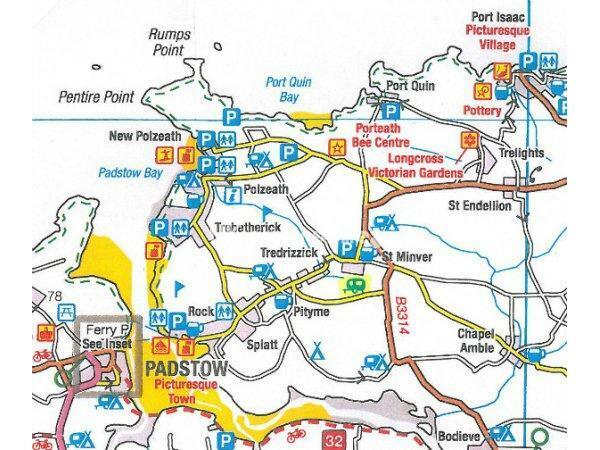 Or from Rock take the idyllic ferry trip across the Camel estuary to the quaint fishing town of Padstow, made famous by Rick Stein & try his fish and chips! 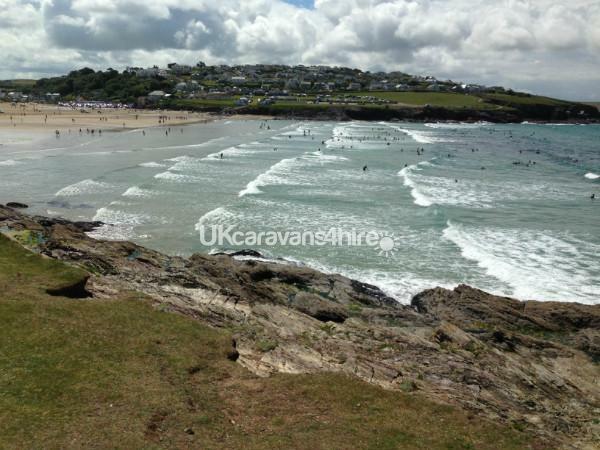 Close by is the surfer beach at Polzeath & the windsurfers' paradise Daymer Bay. 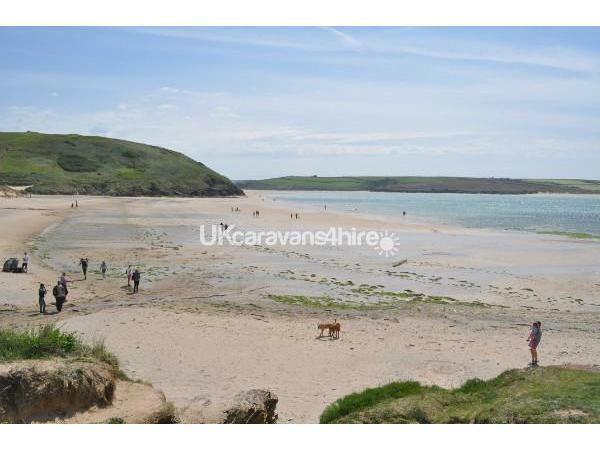 Dogs are allowed on both Daymer Bay & Rock beaches. 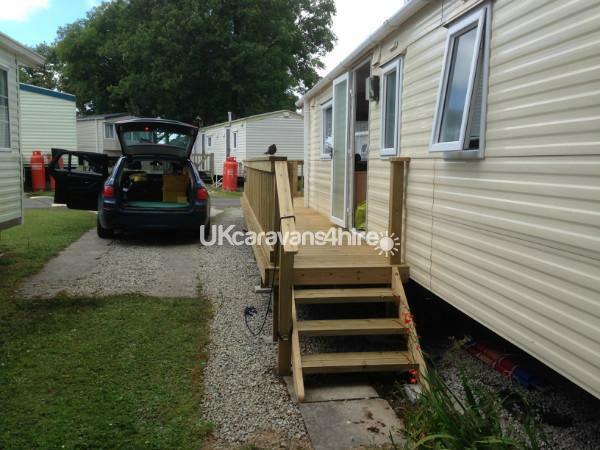 We have a dog & we welcome well-behaved dogs into our caravan. We charge £20 extra per dog per week. On-Site Pub/Club, Amusement Arcade, Crazy Golf, Indoor Pool, Restaurant, Takeaway, Grocery Shop, Laundrette, Kids Club, Sauna, Soft play area (small), Pool table, darts, table tennis, Outdoor picnic area, Woodland walks, Adventure play area, Kids Club, Cash machine, Evening Entertainment, Pizza & Steak Restaurant. Membership Passes can be bought for the duration of your stay from reception. They cost £11 each for anyone over 2 payable at reception. Excellent shop on site which offers DVD rental, newspapers, toys, groceries and lots more. 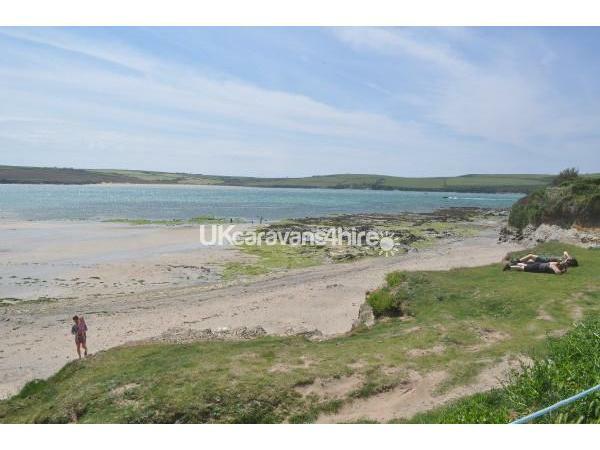 Beaches and water sports, walks, nature reserve, golf course, pubs, theme park, takeaway, fishing, historical attractions. Payments by BACS 25% Deposit within 7 days of booking, followed by payment of balance 30 days in advance of holiday. For more information contact us & we will be pleased to help. Additional Info: St Minver Holiday Park is nestled between the mature woodland, the park is set within the grounds of an old manor house which now houses the well-priced restaurant, Costa coffee, bar, function room, games room including table tennis, soft play area, amusement arcade, SKY Sports, Internet Access, Evening Entertainment. Free Wi-fi is available at The Manor House. The 30 meter indoor pool is lifeguard-maintained - there's even a sauna! Opposite the swimming pool is the shop selling groceries etc.. There's a busy daily children's entertainment programme complete with their own characters Sid and Lizzie. The outside play area is popular with young children! Also a Crazy Golf course.